Selecting an international and homestudy adoption agency is a vital decision in your adoption jpourney, both for information and for education and to guide you through the complex adoption procedures . . Selecting an international and homestudy adoption agency is a vital decision in your adoption jpourney, both for information and for education and to guide you through the complex adoption procedures . Vietnam is now party to the Hague Adoption Convention. Thhis means that certain international rules apply to your adoption, both for your agency, yourself and your prospective child. One important factor is to choose a U.S. Accredited or Approved Adoptioon Service Provider that has been authorized by Vietnam's Central Control Authority. At this time only a few US adoption agencies are authorized to work in Vietnam adotions. The child must also receive a U.S. consular officer Article 5/17 Letter to be considered adoptable. After adoptions from Vietnam to the United States were halted, adoptions were resumed under a special Vietnamese program. This program applies to the adoption of children with special needs, children over 5 years of age, and sibling groups. Children must be abandoned or relinquished. In 2014, two American adoption agencies were approved by the Vietnamese and the U.S. governments from a 200 requests. 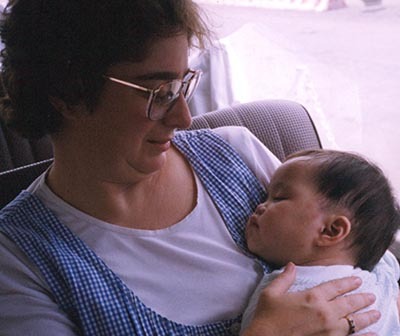 The two adoption agencies selected to work in Vietnam with American citizens were Dillon International and Holt International. According to the US State Department, the adoption agency "facilitates the adoption on behalf of the prospective adoptive parents, including assembling the application dossier for submission to MOJ/DA, providing logistical support for prospective adoptive parents and their adopted child(ren), and providing post-adoption reports to MOJ/DA. The adoption service provider is also responsible for fully informing prospective adoptive parents about the child's medical condition, if applicable, so that they can make an informed decision about the adoption." Costs include travel to and from Vietnam, your stay in Vietnam, your adoption homestudy, internation and domestic dossier completion, US government fees, Vietnam government fees, facilitator or care fees, agency fees, complex paperor applications, post adoption studies and more. Vietnam adoption costs average $30,000-$35,000. The timeframe is from one and a half years to two to three years. Travel to Vietnam is required for two people, usually both parents, and lasts approximately 2-3 week.